The worst bits about cooking up a storm? The clean up. Nothing is more depressing than a kitchen sink packed to the brim with greasy pots and pans, and this detracts many from cooking wholesome meals at home. Fortunately for us, there are many one-pan / one-pot dinner recipes out there that tastes just as good as the ones that require the use of 29 pots and pans. And we’ve taken the liberty to compile 21 of these so you can have three weeks of brilliant dinners, minus (most of) the dishes. 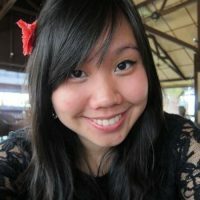 Ah, the Malaysian favourite. 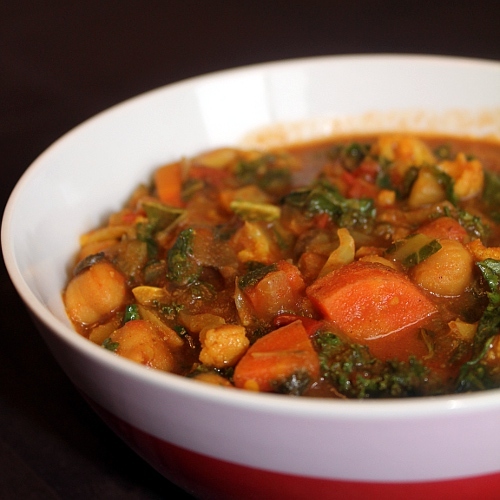 How could we do without this comforting hot stew that reminds us of our glorious childhood? It’s not just delicious and nutritious, it’s also as easy as ABC to prep this, hence the not-so-creative name. Video and text recipe here. 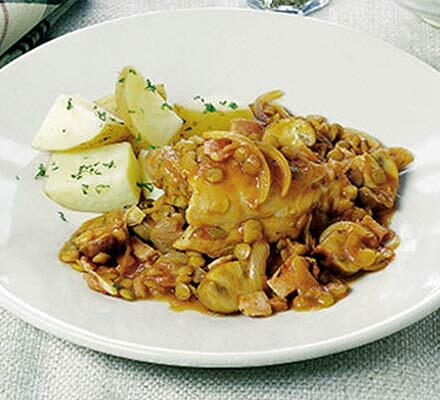 With onions, thyme, garlic and chopped tomatoes, this chicken dish is both chunky and flavourful. We suggest using chicken breasts if you’re not into thighs, and to add on a lot more onions (but that’s because we love onions). Takes about 40 minutes and you’re done (and 30 of those minutes is just simmering while you do something else, like… wash your chopping board). Serve with brown rice or mop it up with a toasted whole grain bread. Recipe here. If you’re craving for something with a spicy kick, this should do the job. It kicks off with a fry up of onions, ginger and garlic, as well as several spices and chilli flakes, which you’ll then have to blitz up in a blender (or use a pestle and mortar if you’re old school). Once that’s done, it’s back to the skillet again, adding in your prawns and you’re done. It’s packed with flavourful but low on calories. Serve with brown rice. Recipe here. This takes only 25 minutes to prepare but it’s so so good. The recipe calls for kale but we know it’s expensive and pretty rare here in Malaysia so we suggest a substitution with good old spinach. Just as nutritious and way cheaper. Choose brown pasta which takes longer to cook so you’ll have everything done in the same pan and finished at the same time. Recipe here. If you’re a fan of spices, you’ll love this dish. Chock-full of quintessential Asian herbs and spices like ginger, garlic, lemongrass, cardamom, garlic, and onion, as well as chilli powder and turmeric powder, this will leave your tastebuds thoroughly satisfied. We suggest adding in more long beans and replacing the white rice with brown for more nutritional benefits. 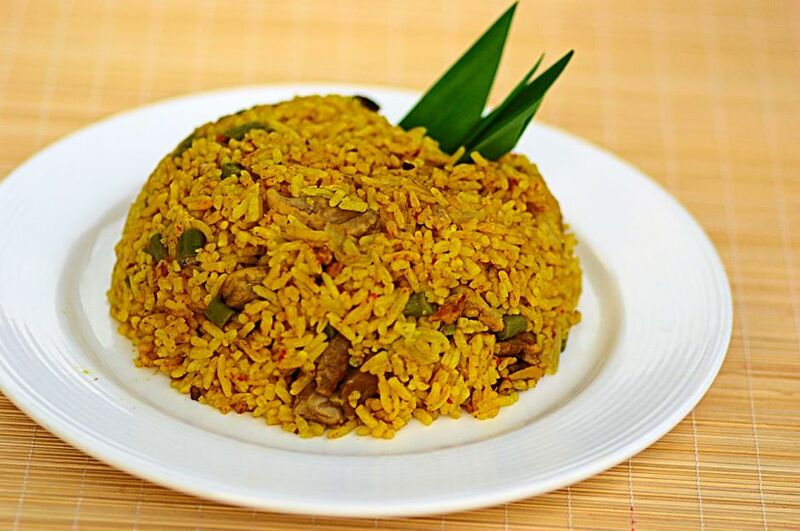 The recipe requires you to fry spices till fragrant before adding everything into a rice cooker, but we found that it works just as well frying them in your rice cooker with the power on! Get recipe here. 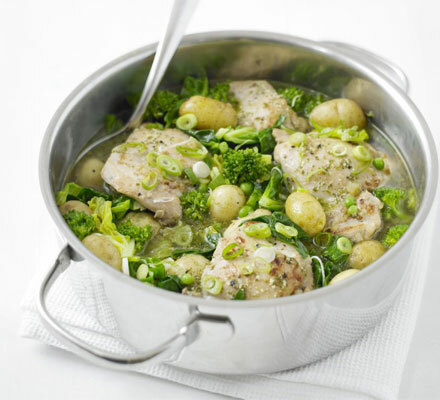 In 40 minutes, you’ll be serving this steaming pot of chicken, potatoes, and broccoli over the table. The pesto adds a depth of flavour to the entire dish while the broccoli, spring greens (feel free to replace with spinach or any other leafy greens of your choice) and peas (referred to as ‘petit pois’ in the recipe) make it a nutritious, crunchy meal. PS: leftovers taste even better, so make more. Recipe here. While this recipe takes a bit more time, it is hearty and flavoursome, perfect for a lazy weekend meal. Everything is still done in a pot (make sure you have a big one), with onion, carrots, celery, potatoes and herbs thrown in along with the beef, which takes a bit of time to get tender. We suggest adding in more onions and celery as these disintegrate rather quickly into the stew to make it thicker without the need for flour. Feel free to add in some peas too if that’s what you fancy. Recipe here. Prep and cooking takes only 40 minutes but you’ll be rewarded with a deliciously filling meal of chickpeas and chicken. We suggest marinating your chicken with a bit of salt and pepper before going ahead with the cooking process, and sticking your broccoli in a bit earlier than required in the recipe (and it takes quite a bit of time to cook through). Other than that, this makes a lovely weeknight meal. Recipe here. 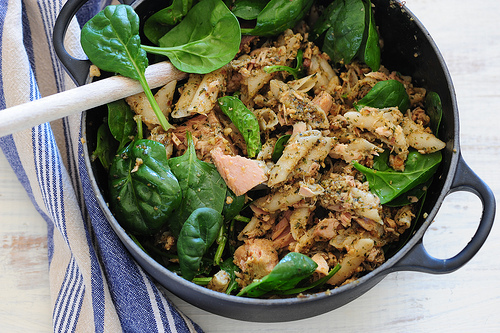 Pesto goes well with almost everything, and we’re not surprised that pesto blends perfectly well with tuna! Requiring only 4 ingredients, this dish is both quick and easy. 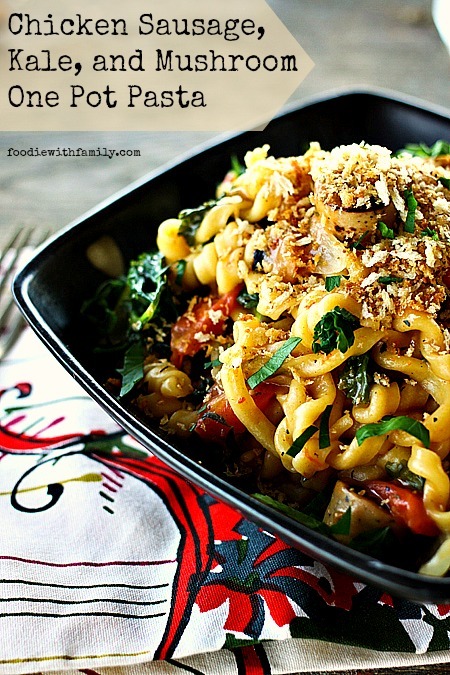 You can also add in some cheese right at the end while the pasta is still hot if you’re feeling like a treat. Recipe here. Do you love sweet potatoes? 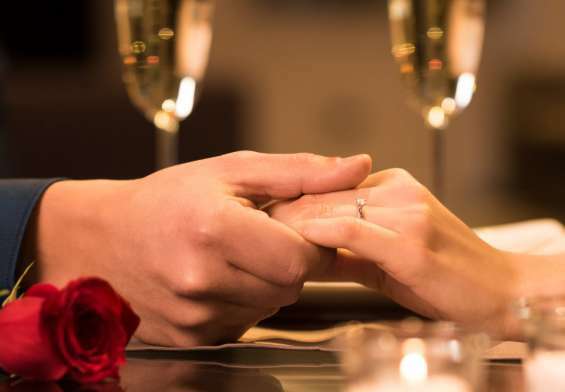 We know we do! They’re delightfully filling yet are low in glycemic index, making it the perfect potato for a balanced diet. This dish requires some mincing, dicing, peeling, and cutting, but we promise you that you’ll not regret it when everything’s thrown into a pot to simmer. Great comfort food for a cold rainy night in. Recipe here. 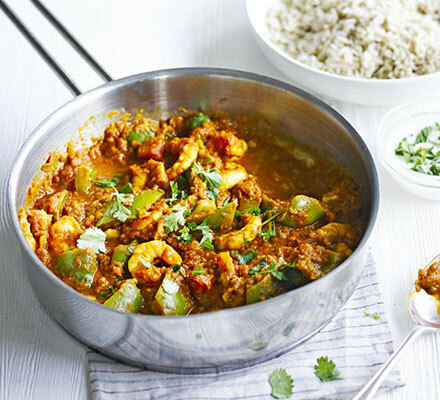 This dish will satisfy even the most fussy eater thanks to all the great flavours infused into this one pot recipe. 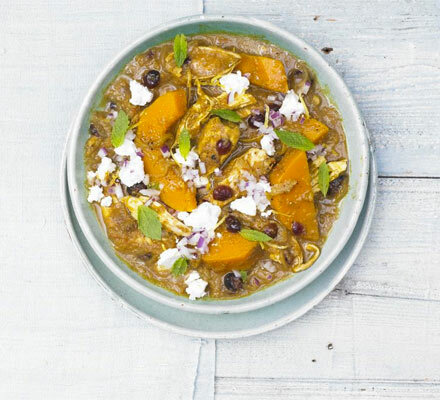 While the recipe itself makes a great dish, we suggest replacing the butternut squash with sweet potatoes (because it’s much cheaper), and omitting the sugar as the sweet potatoes lend its sweetness to the dish. Dried cherries can be hard to find but you can replace it with dried cranberries, or even raisins if you like. Recipe here. Porridge is yet another comfort food from our childhood, and the best thing is it’s all done in one pot. 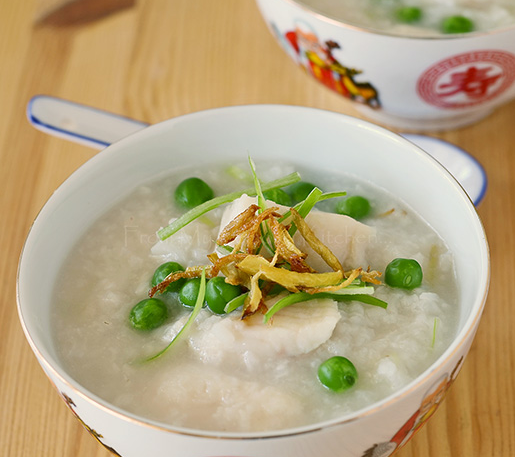 This fish porridge includes peas in its recipe for a bit of green, but you could also add in chopped carrots for colour and nutrients. Recipe here. 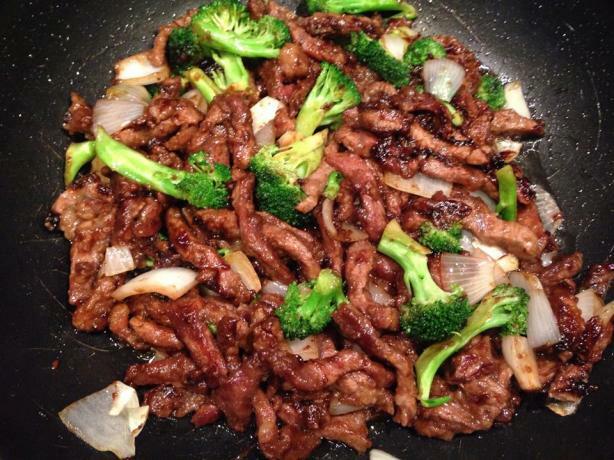 Stir-fries are easy but a good stir-fry is hard to come by. 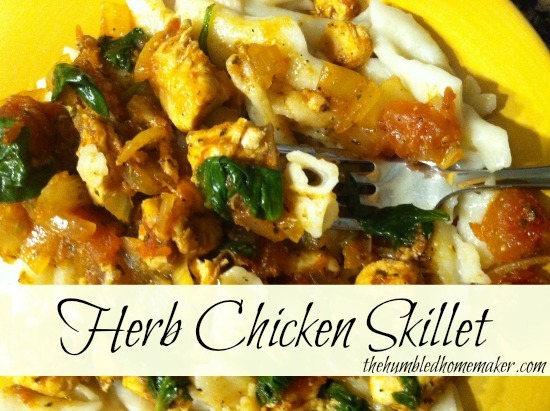 This recipe comes pretty close to the mark but with a couple of edits it’ll be perfect! The recipe calls for garlic powder but we suggest using minced garlic instead (about 2 cloves), and rather than ground ginger, freshly julienned ginger will add a kick to the whole dish. You can also cut down on the cornstarch to 1 tablespoon instead of 3. Recipe here. Breakfast food for dinner anyone? You’ll only need 5 ingredients for this recipe but it’ll definitely wow whoever you’re trying to impress. To make it a more substantial meal, you can add in some marinated chicken thigh fillets or chunks of marinated chicken into the pan. 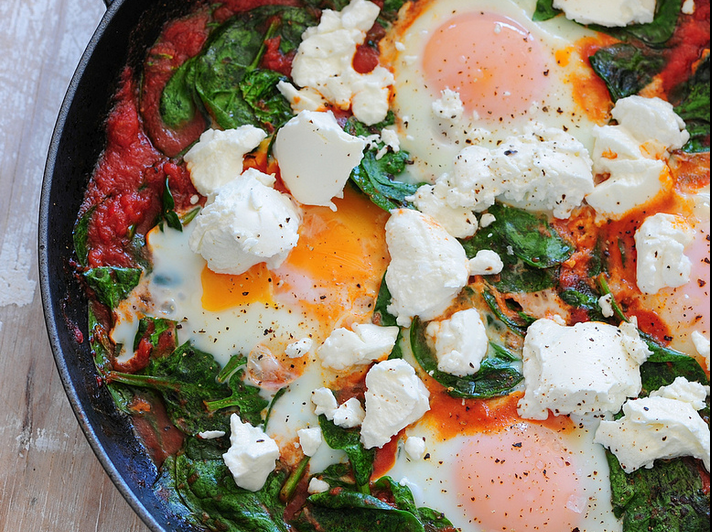 This is great for both breakfast and dinner. Recipe here. What’s even easier than cooking on the stove? Cooking in a rice cooker of course! 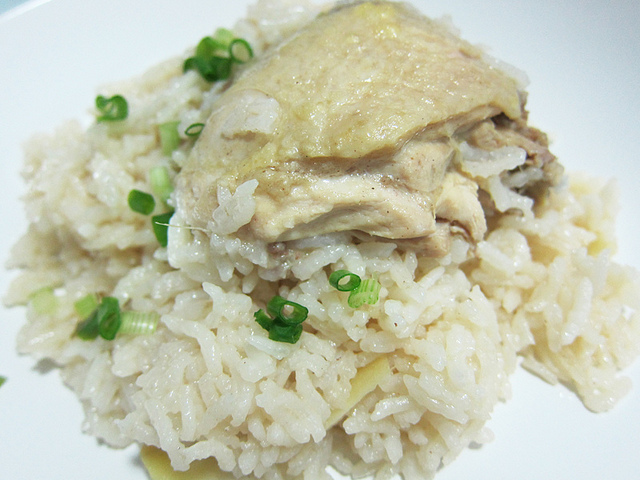 All you need to do for this recipe is a rice cooker and a bit of preparation, then throw everything into your rice cooker and click cook for 25-30 minutes! 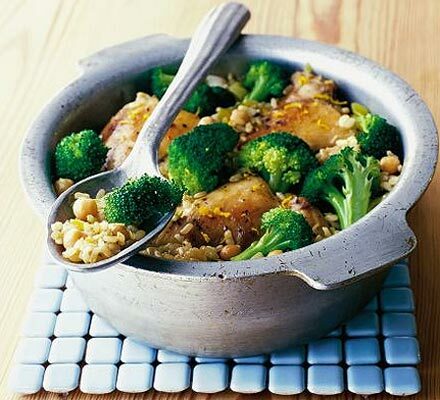 Use brown rice and add in some minced garlic for more flavour! Recipe here. If you’re looking for proper comfort food that won’t fill you with guilt, this is it. 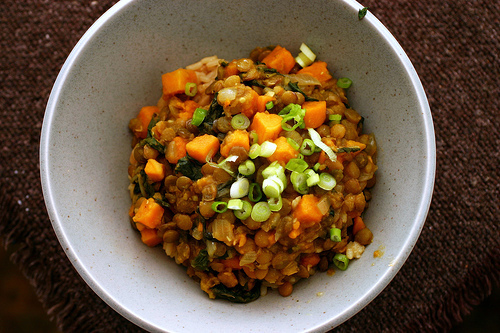 The lentils add substance while the tomato puree, thyme and lean bacon add depths of flavour. Try the recipe here. Brimming with healthy ingredients like chickpeas, veggies, and herbs, this vegetarian curry takes only 30 minutes to get from chopping board to table. 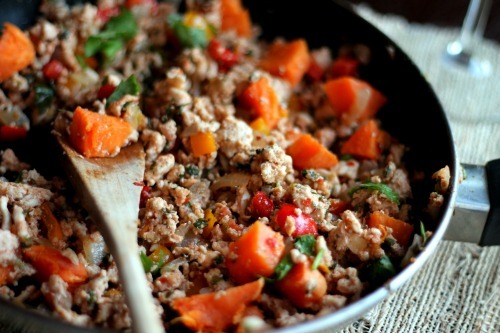 If you’re not vegetarian, you can also add in some chopped up chicken breasts for some protein. Recipe here. 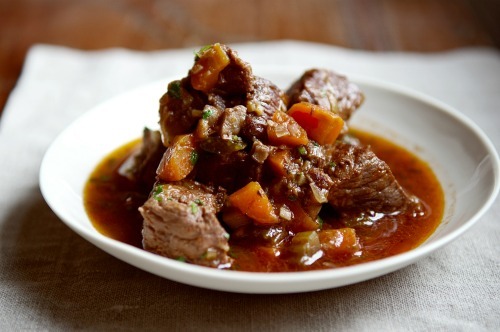 This is a versatile dish because you can use any veggies you currently have lying around, but we suggest adding in some carrots, onions and cubed small red potatoes with skin on. Thyme adds a burst of fragrance and you wouldn’t believe that this was so simple to prepare. Recipe here. Dig out whatever you have in your vegetable drawer, add some minced meat (beef or chicken, or even turkey works great), a can of tomatoes, and some taco seasoning (buy or make a batch of your own with this recipe), and voila you have a delectable taco stirfry that you can add into lettuce leaves or a wholegrain tortilla to make a wrap! Recipe here. 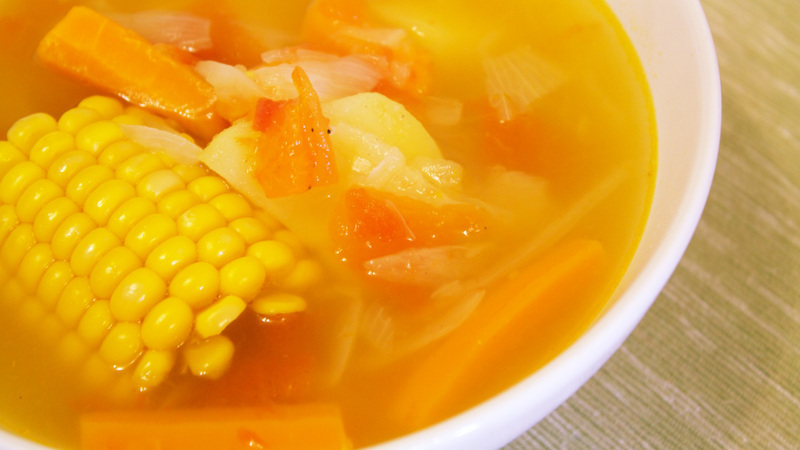 With the rainy season going on full force now, a hot bowl of chowder will definitely hit the spot. 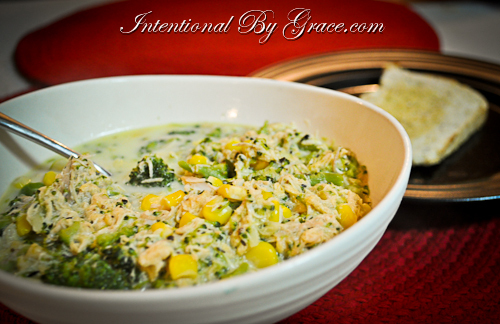 This chowder calls for broccoli, corn, onions, garlic, thyme, and shredded chicken (you can get some rotisserie chicken from the supermarket for this), as well as milk and cheddar cheese for a satisfying meal after a long day at work. Recipe here. We’re big fans of herbs here. They add lots of flavour without compromising on health. 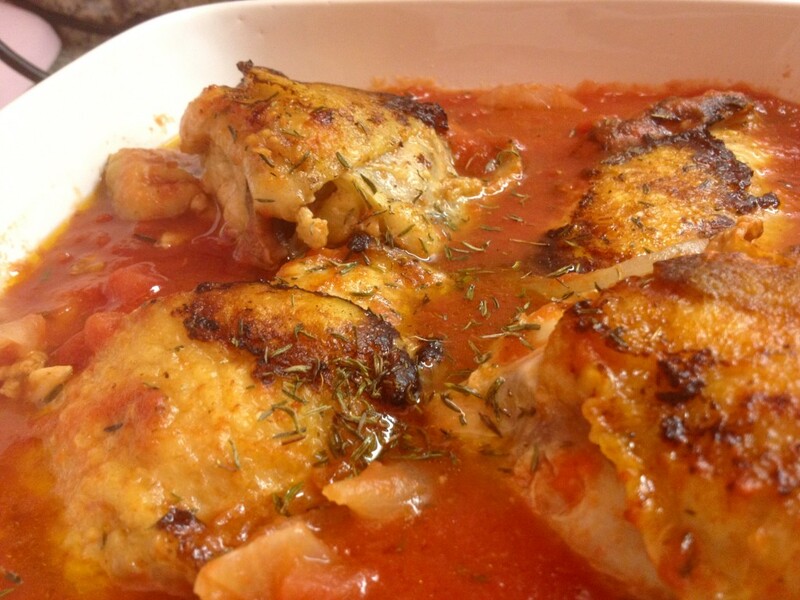 This dish is delicious but also quick and easy to prepare. All you need are some chopped up chicken breasts / fillet, a chopped up onion, a can of diced tomatoes, baby spinach, and some dried herbs. Recipe here. 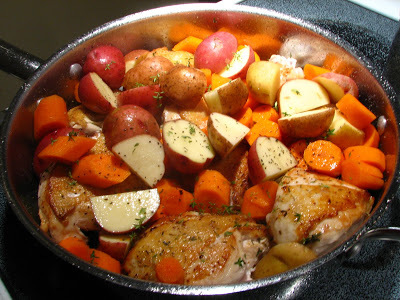 Share your own one-pot recipes with us in the comments section below or on our Facebook page!